If there is one thing you can count on from staff at The Main Street Mouse, it’s that we love food. I am no exception to this. 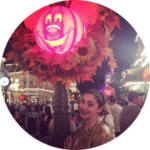 So, when all of the delicious treats available for Mickey’s Not So Scary Halloween Party were featured by Michele during her coverage at the MNSSHP media event, I promptly booked a ticket for my best friend and I. As the weeks went by, I patiently prepared myself salivating over party exclusive treats. When the party date finally arrived, you can bet I was ready for an epic sugar rush. I’m a planner, so prior to the event I picked 4 items that I knew I absolutely had to try from the 17 options released. I would be a fool to try and get through all 17 options in 5 hours, which included 2 meals (the Hades nachos, and the Muenster Smash Burger). That’s just asking for trouble, and let’s not forget – the free candy. I’m trying to have a good time, not ruin my life with all that sugar at Magic Kingdom. The items I picked I knew would be a seasonal exclusive, so I skipped things like brownies, doughnuts, pretzels, etc. and I decided on options that were different enough to justify waiting in a food line versus enjoying the party. I planned my food route around the rides I wanted to experience as well. Being the ghost hostess with the mostest, as soon as the announcement was made that the party had started, we made our way towards the Haunted Mansion, but first up – the Zero Waffle Sundae located at Sleepy Hollow. This pumpkin waffle was everything I imagined it would be and more. Since my best friend and I were splitting the treats, the portion was perfection. Two pumpkin waffles with a healthy scoop of vanilla ice cream topped with whipped cream, sprinkles and a caramel drizzle. The waffles were warm, not piping hot, but enough to get the ice cream a little melted. The pumpkin flavor played off well with the caramel and the whipped cream. All in all, this is a must have for party-goers. After riding the Haunted Mansion, we jetted off to ride Pirates in Adventureland. Once we were done with the ride, we hit up Aloha Isle for the Hitchhiking Ghost Dessert. If there is anything you should know, I just can’t pass up an opportunity to indulge in some extra Haunted Mansion goodness. This dessert claimed to be a Doom Buggy inspired cream puff filled with cookies and cream mousse (that’s the grey stuff), and a chocolate piece featuring Phineas, Gus, and Ezra. I was so excited to taste this little morsel of doom buggy deliciousness, but I was met with a frightful experience. I hate to report this, but do yourself a favor, and skip this option. The cream puff tasted almost burnt. It was extra dry, and not even the cookies and cream mousse could salvage this dessert. If you touch the chocolate piece prepare to be wiping your hands off from the edible ink used to fashion the images of the Hitchhiking Ghosts pretty much all night, even scrubbing with soap in the bathroom left a faint mark on my fingers. This treat was definitely a trick, and I don’t recommend it. After our disappointment, we decided to walk it out over to Tomorrowland. The next treat on our list was waiting for us at Auntie Gravity’s, yep, you guessed it – the candy corn milkshake. But first, we had to ride Space Mountain in the dark. Truly a terrifying but exhilarating experience. Once I regained the use of my shaking legs, it was off to track down a sweet reward. This was THE BEST treat. In it’s entirety this milkshake is the equivalent of Halloween in a cup. The milkshake has a faint candy corn taste, not overpowering, but still a sinister sweet. If you’re splitting it, which I highly recommend, ask for a second paper straw with the thick width. The plastic ones will not cut it. I had a hard time getting any milkshake going with the plastic straw, so I had to go back and ask for a paper one. Each straw comes with an orange colored Mickey Marshmallow attached, so that was a nice little extra treat. Since it was also a humid evening the milkshake doubled to help us cool off a bit while we staked out a place to watch Hallowishes. The last item on my foodie list was the Pumpkin Cheesecake Roll from the Main Street Bakery, I had totally planned to snag one as I waited for the Boo To You Parade, but alas, the Candy Corn Milkshake was more than filling and I could not fathom piling any more sweets into my system. Even with the missing treat from my list and the unfortunate cream puff choice, I felt thoroughly pleased with my foodie experience. Disney did not disappoint this year with excellent options to try. I may just have to HURRY BAAACCCKK for a second round of MNSSHP to indulge in the Nachos and the Burger. 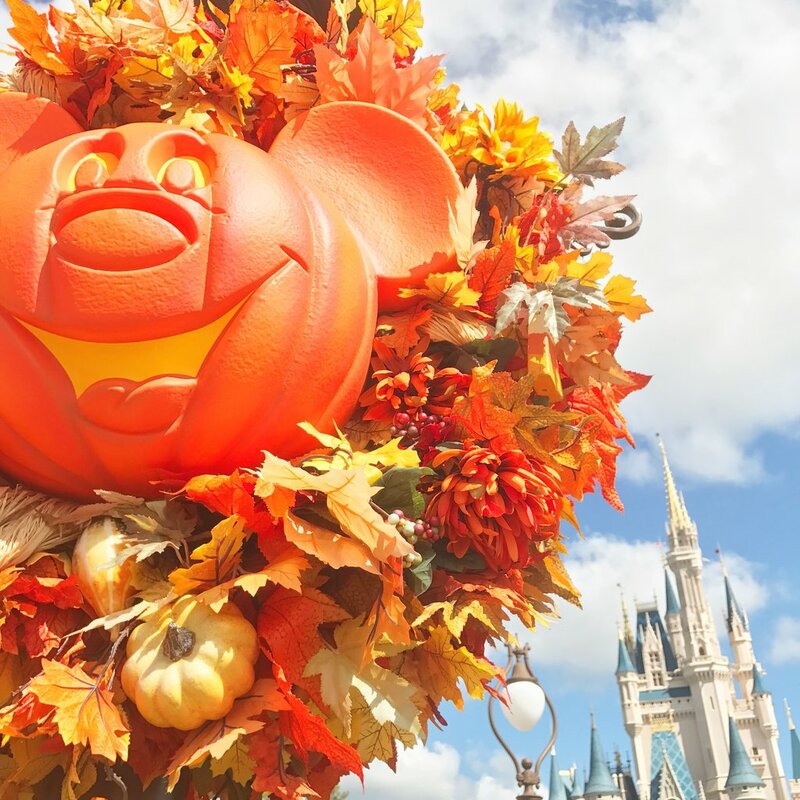 Tell us Main Streeters, what are you excited to try at Mickey’s Not So Scary Halloween Party? What have you already tried and recommend for others visiting? We love to hear from you!